The 2017 Jaguar XF has a lot going for it. It offers a beautiful interior, plenty of performance features, and an attractive exterior that will make every Baltimore driver swoon with envy. From its sleek aerodynamic features to its perfectly proportioned body, this vehicle truly makes a statement. Take a look below to learn more about the exterior features this new model has to offer. The Jaguar XF body style was perfectly proportioned to offer the best in aerodynamics. Everywhere you look, you’ll notice sleek lines and stunning proportions that seamlessly hug the road while perfectly displacing wind for optimal efficiency. The front of the Jaguar XF demands attention on the Baltimore roads. For starters, the upright front grille creates an aesthetically pleasing look from the moment you lay eyes on the new sedan. The dramatic hood surface and power bulge further enhances this vehicle’s charm, while the signature J-Blade LED daytime running lights offer a striking on-road style. Finally, the available full LED headlamps provide crisp and vibrant light inside a cluster design. Move along to the side of the Jaguar XF, and you’ll notice a sleek and sporty form combined with precise underbody architecture that helps enhance the aerodynamics. The integrated front bumper and subtle lip also provide a smooth view and helps to reduce drag. The rear of the vehicle provides a nice view to those behind you. The wraparound pinstripe graphic of the LED signature taillights offers a pleasant design that belongs solely to the Jaguar XF. After all, they feature a distinctive F-TYPE inspired double roundel and intersecting horizontal detail that captivates attention throughout Washington DC. The exterior of the XF offers plenty of detail that won’t go unnoticed. For instance, the chrome-framed, Jaguar-embossed, mesh side vents are easily noticed every time you hit the road. Couple this with detailed lights and chiseled body style, and you have a vehicle that Arnold drivers will enjoy at all times. The 2017 Jaguar XF provides a pleasant look that captivates attention no matter where you go. From its amazing aerodynamics to its curved and sleek style, this new model offers plenty of aesthetics to make a statement throughout Washington DC. 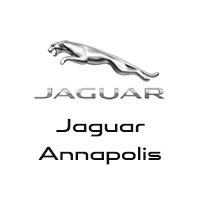 Jaguar Annapolis knows how much this vehicle can bring to the road, which is why we have a full inventory for you to choose from. Visit our dealership today at 101 Ferguson Road in to find the one that suits your style. You can also contact us online or call us at (410) 904-3107 to schedule your test drive, apply for financing, or learn more about this new model.